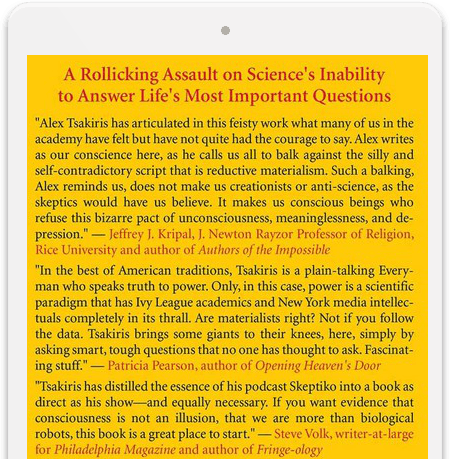 Alex Taskiris shares what he's learned through his 200-plus interviews with some of the world’s leading consciousness researchers and thinkers. In doing so, he reveals what the best research is saying about 'big picture' science questions and the limits of science in general. Science-as-we-know-it is an emperor-with-no-clothes-on. It mesmerizes us with flashy trinkets, while failing at its core mission of leading us toward self-discovery. Science is wrong because it assumes that consciousness is an illusion—and the evidence suggests it’s not! The pause is brief, only a second or so, but I’m panicking. I’m sitting in the patio next to my kitchen—a wonderfully calming space I’ve converted into a studio for the science-themed podcast I’m recording. But I’m not calm right now. I’ve asked my question and my mind is racing as I wait for an answer. This could get ugly. Radin is responding to claims made by University of Oregon psychologist Dr. Ray Hyman, a respected scientist with a stellar academic background and long list of peer-reviewed publications. Hyman attacked Radin during an interview with Yale neurologist and self-proclaimed “skeptic” Dr. Steven Novella. They were discussing Radin’s peer-reviewed research into the nature of time and consciousness. Radin’s research posed a fundamental question: When do we know what we know? What Radin suspected, and what the data ended up revealing, is we sometimes know things are going to happen before they occur. Before I explain to you exactly how this story ends (see Appendix A… spoiler alert – Hyman is shamefully wrong, and Radin’s research remains unchallenged), let me back up and explain why a non-scientist, entrepreneur such as myself was using an internet radio-show to jump into such an obscure parapsychology debate. Thank goodness for public access television. PBS Cincinnati gave me my first lesson in consciousness. I was just out of college and enjoying a day off from work when I tuned into a strange show called Lilias Yoga. At the end of the program, Lilias led me and the rest of her viewers through a guided meditation: “Breathe softly and quiet that voice inside your head,” Lilias instructed. Until that moment, I never realized there was a “little voice inside my head.” I had never really thought about my consciousness in that way. As it turns out, questions about “the little voice inside our head” are not only central to yoga classes, but also to science. What is consciousness? Let’s simplify. Here’s an exercise to try. Don’t worry, it’s an easy one. Take a deep breath and quiet your mind a bit. Now say, “Hello.” I know it seems a little strange, but use that voice inside your head to say “Hello” to yourself. Did you hear it? Did you hear YOU say “hello” to YOU? Of course you did. The YOU that heard “hello” is the essence of consciousness. According to our present, science-as-we-know-it worldview, there is only one acceptable explanation for the origins of this consciousness. Science insists your consciousness is solely and completely a product of your brain. To allow for anything outside your physical brain to be involved in human consciousness would fundamentally alter science. So, before I show you how time and again we have encountered solid evidence suggesting consciousness is something more than just the electrochemical firing of your brain, let me show you why science-as-we-know-it desperately needs this not to be so. Here’s a simple science question: what is the boiling point of water? Short answer: 212° F, or 100°C. But wait, it’s not quite that simple. As you probably know, the boiling point of water depends on atmospheric pressure, which changes according to elevation. Water boils at 212° F at sea level, but it boils at a lower temperature in the mountains. The boiling point also depends on the purity of the water. Salty water boils at a higher temperature than pure water. Unless we account for these factors we can’t properly answer our science question. In other words, unless we know all the variables involved, we can’t measure the result. With that in mind, let’s return to the question of consciousness. If my consciousness is solely a product of my brain, I don’t have anything to worry about in regards to my water boiling experiment. The world I’m trying to measure is out there, and I’m in here. Everything is neatly organized within this framework. But if my consciousness extends beyond my physical brain, then I have to ask whether my consciousness (i.e. that little voice inside my head) has influenced this world I’m trying to measure. For example, if I concentrate/meditate/pray really hard, can I make this water boil at a lower temperature? Okay, forget about the boiling water experiment for a minute. Can I use my consciousness to make a plant grow faster? [ii] Can I use prayer (i.e. directed consciousness) to make a hospital patient heal sooner? [iii]Can I silently extend my consciousness to another person and give them the answer to a question they’re seeking? There is no end to these kinds of questions, but I’ll add one more. If the voice inside my head can be shown to do any of this, can a scientist ever be sure about what s/he is measuring? The answer is no. [i] Nagel, Thomas. (2012) Mind & Cosmos. New York, NY: Oxford University Press. Naturally, you might wonder how this overwhelming consensus among respected researchers has impacted mainstream science. I mean, science is driven by evidence, right? Publish a hundred unchallenged peer-reviewed papers and opinions change, right? Nope. What I discovered from the NDE critics surprised me. First, most have never actually researched near-death experiences. This is true of Novella, Shermer, and Pigliucci. The sum total of their scholarly publications in this field is zero. Second, even those who have published on the subject, like Dr. Caroline Watt, Dr. Susan Blackmore, and G. M. Woerlee, haven’t actually worked with near-death experiencers. Although these “experts” are frequently cited by the mainstream science media, their “research” consists of little more than academic-sounding book reports. Dr. Caroline Watt:…this is actually not my area of specialty. It’s probably my one foray into near-death experiences, and I probably won’t be publishing on it again. Dr. Susan Blackmore: It’s absolutely true. I haven’t written about this subject for a long time, and I haven’t kept up with all the literature, either. Dr. Blackmore: I gave up all of this stuff so many years ago. If you are a researcher in the field, it behooves you to read as much as you can of the best work, because otherwise you can’t be a researcher in the field. I’m not a researcher in the field. I have not been for a long time. Soon after my interview with her in 2010, Dr. Blackmore gave a public presentation on her pessimistic view of NDE research. I wonder if she mentioned her lack of expertise to her audience. [ii] Past interviews with the aforementioned experts can all be found at www.Skeptiko.com. OVER 250 INTERVIEWS AND TRANSCRIPTS... FREE! 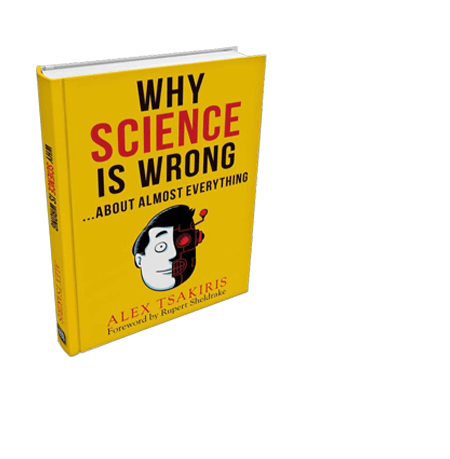 Alex is a successful entrepreneur turned science podcaster. 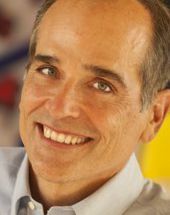 In 2007 he founded Skeptiko.com, which has become the #1 podcast covering the science of human consciousness. Alex has appeared on syndicated radio talk shows both in the US and the UK. He lives in Del Mar, California.